While the conflicts in Western Europe came to an end on 11 November 1918, fighting in Eastern Europe and the Near East continued until 1923. The exhibition retraces the fall of four great empires — Russian, Ottoman, Austro-Hungarian and German — and explores this little-known period in history marked by revolutions, civil wars, major border shifts and the creation of new states. In the wake of the Russian February and October revolutions and the signing of the Treaty of Brest Litovsk between Russia and the Central Powers on 3 March 1918, fighting seemed to be diminishing in the east despite the Russian Civil War. However, in the west, the signing of this treaty allowed Germany to redeploy 50 divisions to the Western Front. From the 21 March, fighting became fiercer, and in spring Germany launched a series of short-lived attacks. In August 1918, the allied forces launched a counterattack and forced the German Empire into negotiating an armistice that was finalised on 11 November 1918. While fighting between the warring parties came to an end in the west, a loose conglomeration of internal disturbances, sometimes in the form of civil wars and international conflicts, arose between the new countries created by the breakdown of the former Russian, Ottoman, Austro-Hungarian and German empires that followed their military setbacks. This situation resulted in violence and instability, whose repercussions can still be seen today. 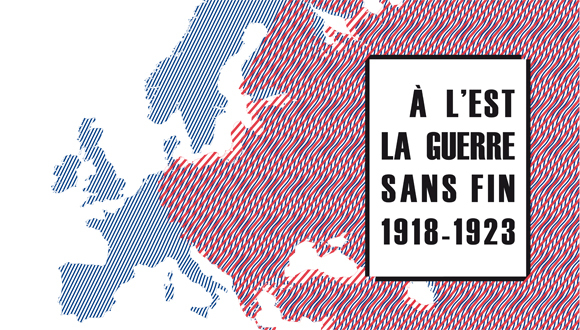 Under these circumstances, the resolution of the First World War turned out to be as complex as it was fragile. Various treaties were drawn up following hard-fought negotiations and were soon contested. The Treaty of Sèvres, signed on 10 August 1920 by Turkey and the Allies, was extensively amended and then replaced by the Treaty of Lausanne, signed on 24 July 1923. The exhibition sets out to trace the difficult path taken in the east, from Finland to Lebanon, between 1918 and 1923, as the former empires gave way to new nation-states, and the various revolutions and counter-revolutions sparked the emergence of totalitarian radicalisation. It shows how, in this troubled context, France tried, with some difficulty, to put its military dominance to use in bringing stability to the region within a complex partnership of allies. While we often think of the Treaty of Versailles, signed on 28 June 1919, as bringing the First World War to an end, the exhibition draws visitors’ attention to the east, giving them a better understanding of the issues and features of the many crises that followed on the heels of the Great War. The exhibition is under the patronage of Emmanuel Macron, President of the French Republic. 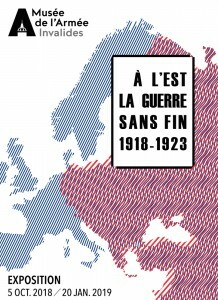 The exhibition is organized with the support of CIC, a key partner to the Musée de l’Armée, and the First World War Centenary Partnership Program, and in partnership with the diplomatic archives of the French Ministry of Europe and Foreign Affairs, Gaumont Pathé Archives, ECPAD, the Service historique de la Défense and the musée départemental Albert-Kahn, Département des Hauts-de-Seine.